The upcoming film “Apollo 11” has premiered at the 2019 Sundance Film Festival. The official trailer (longer than the teaser trailer posted back in December) is now available. Watch it at this link for a full screen option. (Youtube). The backstory is that NASA had commissioned a film about Apollo 11. It was released in 1970 as “Moonwalk One”. You will recognise a lot of the clasic Apollo 11 launch footage. Here’s a copy on YouTube. The end product – the film – was delivered in 4:3 aspect ratio, and as 35mm prints. NASA had no need for anything better. What everyone had forgotten was that much of the source film for the movie was originally shot in widescreen format and printed at 70mm. These many reels had been sitting, untouched, in the archives. Read a story about it in Vanity Fair. The film producers spent a considerable amount in scanning these reels – and you can get a feel for the quality just from the trailer. For example, there’s the walkout footage in Moonwalk One. and compare it with a snippet of the same footage in the new transfer. No news yet on when the film will be released, but it should be the best of the lot. In time for the 50th anniversary of Apollo 11, several documentaries are in the pipeline. One, aptly named Apollo 11, promises to be very good indeed. APOLLO 11 / U.S.A. (Director: Todd Douglas Miller, Producers: Todd Douglas Miller, Thomas Petersen, Evan Krauss) — A purely archival reconstruction of humanity's first trip to another world, featuring never-before-seen 70mm footage and never-before-heard audio from the mission. World Premiere. 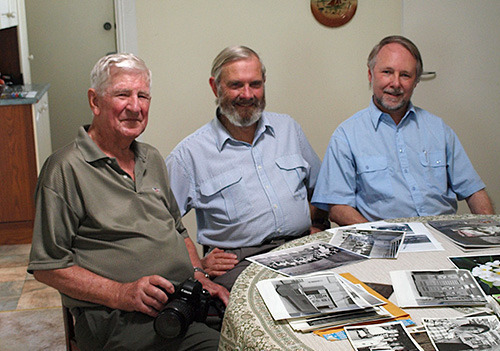 We’re sorry to report that Ernest “Ned” Kelly, one of Australia’s first space trackers, has died in Queensland. 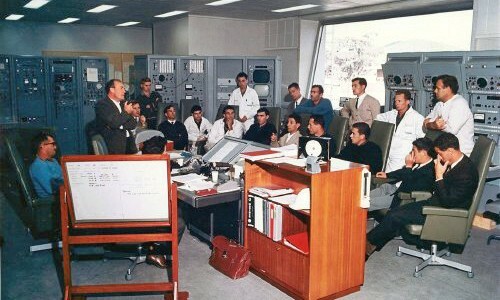 Ned manned the Minitrack station set up at Woomera’s Range G in 1958. Hear an interview with him recorded in 2014. 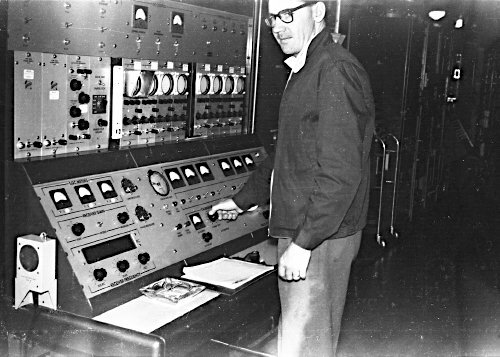 Ned Kelly at the Mod1 Minitrack Console at Island Lagoon in 1962. 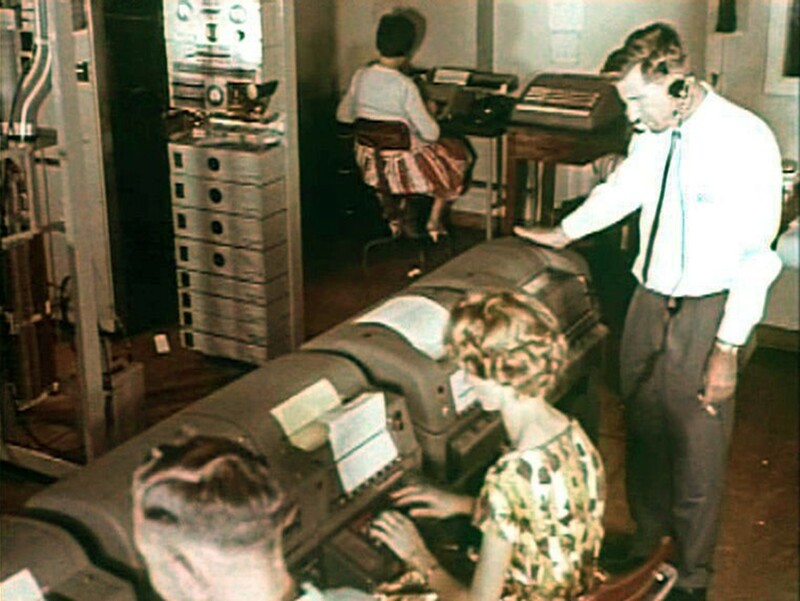 This footage shows Ned at the original Woomera 108MHz Minitrack in 1961. Frame from a Department of Supply film. If you are looking for a great book on Apollo 8, it would be hard to go past “Rocket Men: The Daring Odyssey of Apollo 8 and the Astronauts Who Made Man’s First Journey to the Moon” by Robert Kurson. It’s well researched and well told. It’s not too technical, and would give anyone a very good insight into the challenges of the mission, the political and social context, and worldwide impact of the mission. I thoroughly enjoyed it. In addition to the printed version, the audio book read by Ray Porter, is also very good. to be published on Thursday 1st November. To be released 01 November 2018. “A wonderful and inspirational story, beautifully told. As hard as it is to do this extraordinary yarn justice, Andrew Tink has done it.” – Peter FitzSimons. “Honeysuckle Creek reveals the pivotal role that the tracking station at that location, near Canberra, played in the first moon walk. Andrew Tink gives a gripping account of the role of its director Tom Reid and his colleagues in transmitting some of the most-watched images in human history as Neil Armstrong took his first step. Available from NewSouth Books and other booksellers. Also available in Kindle format from Amazon (and perhaps other sellers). 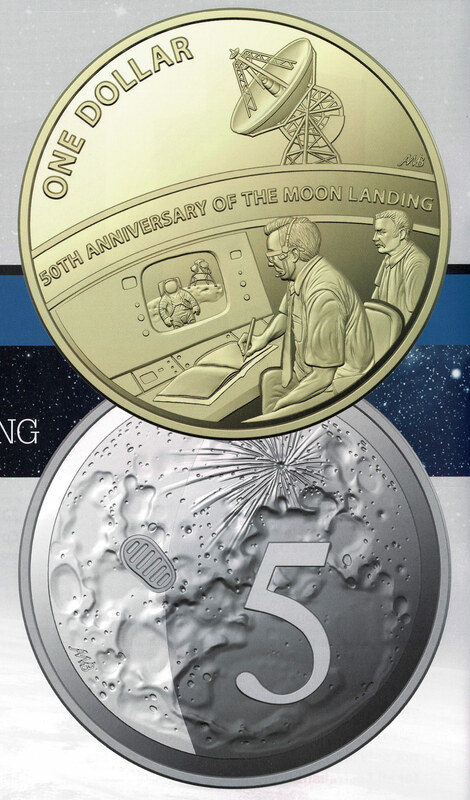 In time for the 50th anniversary of Apollo 11, the Royal Australian Mint is releasing sets of six coins, on Thursday 1st November. 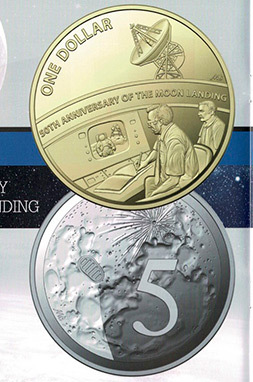 There will be two coins in that set (the 5 cent piece and the one dollar coin) specifically related to Apollo 11. From here – and they will be available from 8:00am on 1st November at these coin swap locations in Sydney, Brisbane, Canberra and Melbourne. Update 01 November: Here is a scan from the Royal Australian Mint’s catalogue – PDF file. and, below, a detail of the coins from the catalogue. See also the text on the back of the uncirculated coins set. 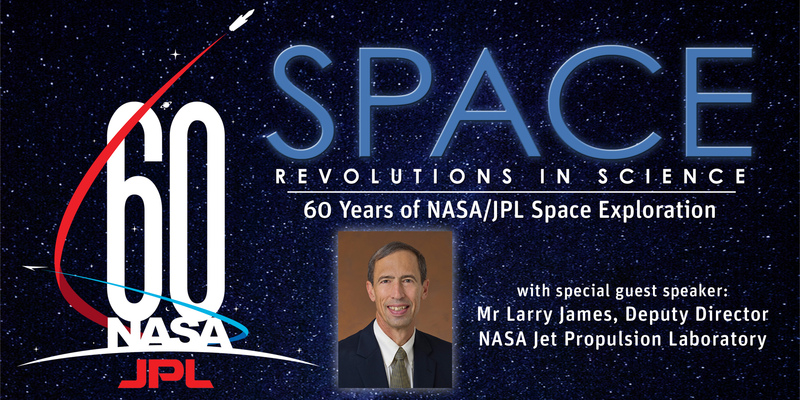 CDSCC is hosting a free public talk by JPL Deputy Director, Larry James on Wednesday 17th October at 6:30pm at Questacon. JPL Deputy Director, Larry James, is speaking at Questacon on Wednesday 17th October at 6:30pm. Please visit Eventbrite to book your free tickets. Click the image above for a larger banner (JPG, 1.1MB), or click here for a poster (JPG, 4.1MB). Thanks to Glen Nagle at CDSCC for the heads-up about this, and the poster and banner. New Manned Spaceflight Operations Association website. Check out the new website from the Manned Spaceflight Operations Association in Houston. The site is still a work in progress. 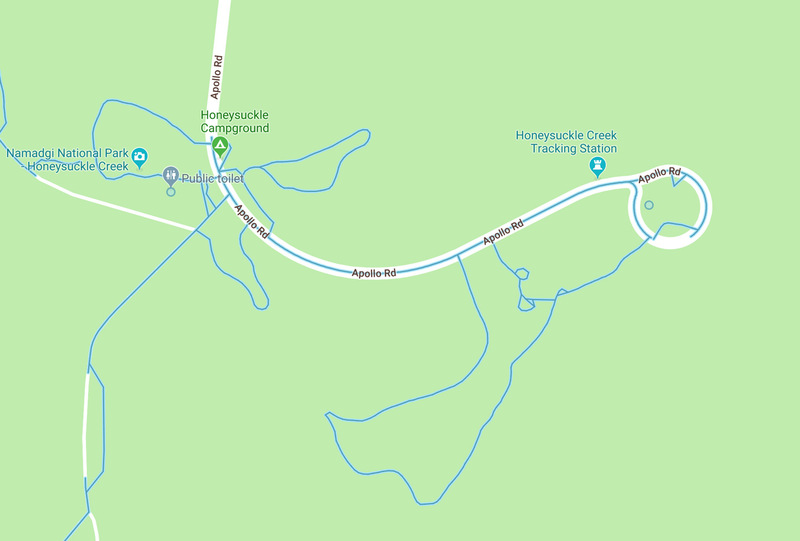 Thanks to ACT Parks and Conservation Service and many helpers, Street View imagery has been added to Google Maps – of Honeysuckle Creek, the track to the Collimation Tower, and also of Orroral Valley! We’re very sad to report the death of Neil “Fox” Mason, this week, at Parkes. Fox was well known to many trackers, and was the Telescope Driver at Parkes, most famously during the Apollo 11 EVA. 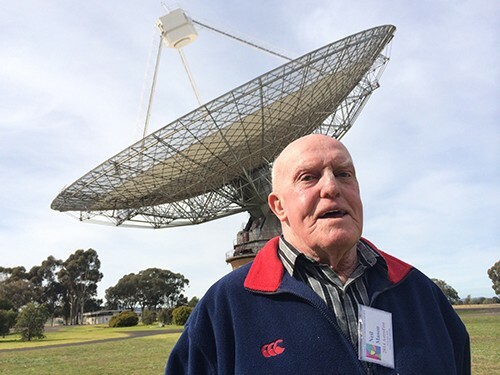 While, of course, being focussed on the radio astronomy work of Parkes, Neil spoke with pride and fondness of his work with the space trackers – especially those who were at Parkes during Apollo 11 and the J missions. 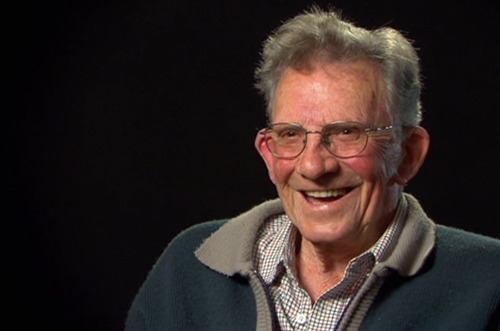 Fox was interviewed for “One Small Step, The Australian Story”, in 2009. 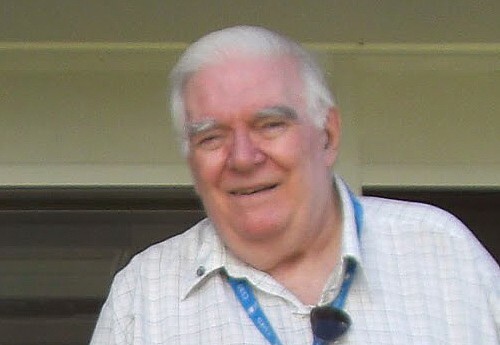 Neil “Fox” Mason at Parkes in July 2014. 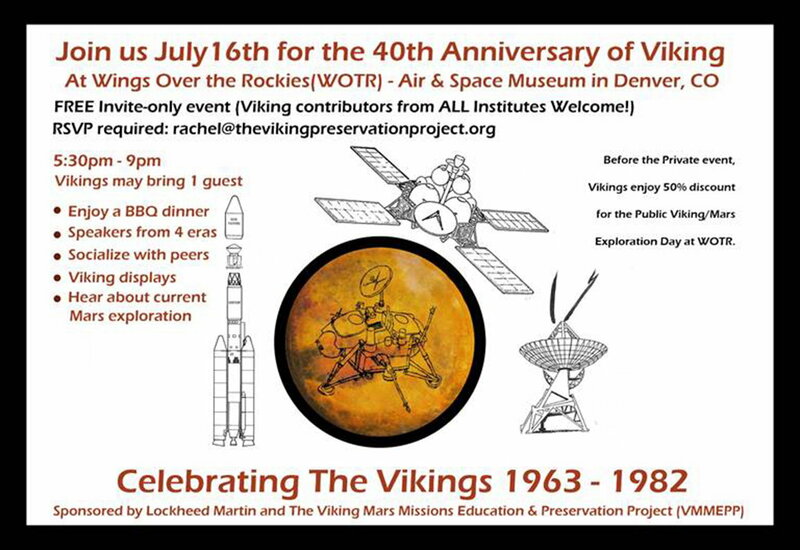 The 40th Anniversary of the Viking 1 landing on Mars is coming up next month (July 2016). 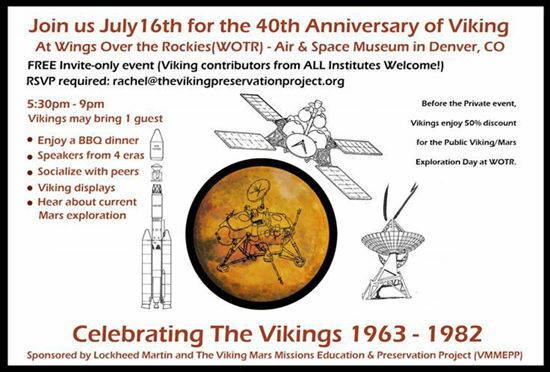 Rachel Tillman from The Viking Mars Missions Education and Preservation Project is keen to contact trackers (and others) who were involved in supporting the wonderful Viking Project. We’re very sad to report the death of Cliff Smith at Parkes on 25th February 2016. “Cliff worked at the telescope from its inception. 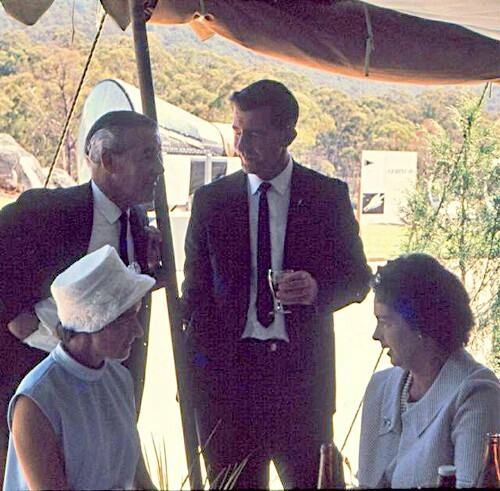 He helped build the telescope and was at the opening ceremony on 31 October 1961 where, among other duties, he was responsible for unfurling the Australian flag at the top of the focus cabin. He was the site foreman for many years before he retired in 1986. Image courtesy Freehand International Pty. Ltd. Image capture by Colin Mackellar. 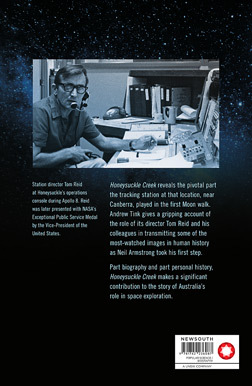 Many trackers from Honeysuckle and Tidbinbilla worked with Cliff during Parkes’ support of the Apollo missions. 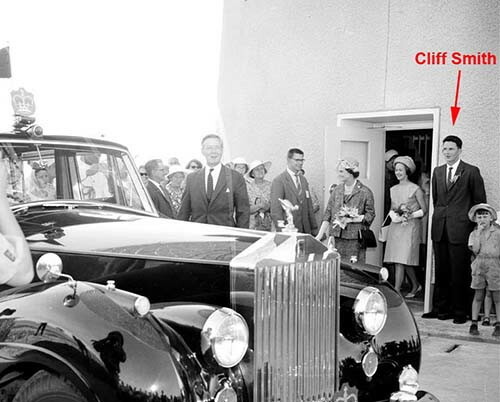 We were delighted that Cliff was able to join us in Canberra for the 45th anniversary of Apollo 11 on 21st July 2014. Cliff Smith, left, with Ben Lam (Parkes), John Saxon (Honeysuckle) and Neil ‘Fox’ Mason (Parkes) at the Apollo 11 45th anniversary luncheon in Canberra, 21st July 2014. 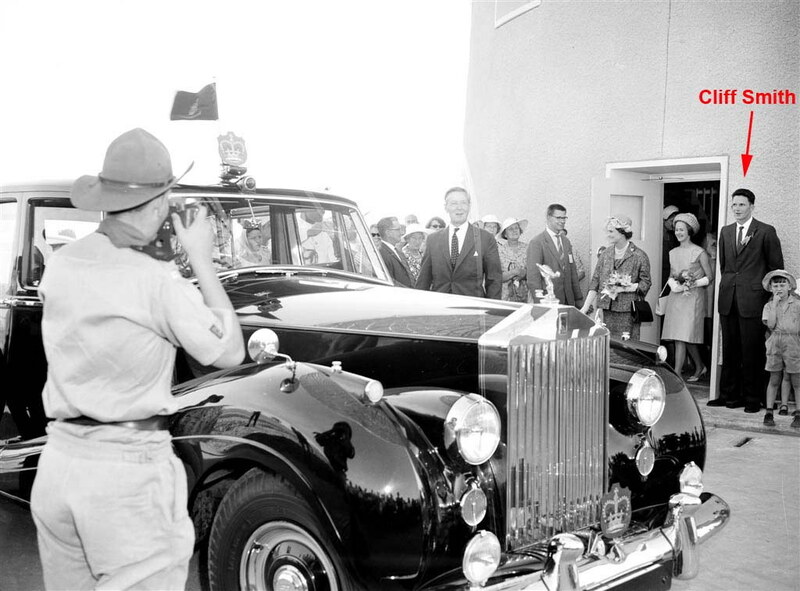 Cliff Smith at the Parkes opening ceremony, 31st October 1961. At left, facing the camera, is Governor-General Lord De L’Isle. CSIRO photo via John Sarkissian. 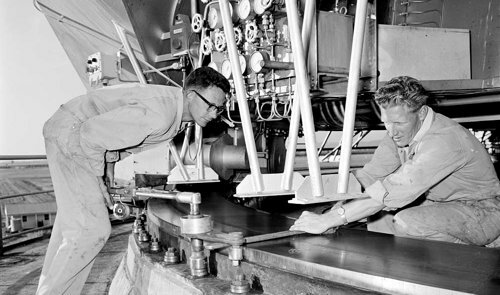 Cliff Smith (left) and Ben Lam working on the Azimuth Track bolts at Parkes, 1960s. CSIRO photo via John Sarkissian. Photo of the Parkes dish by Keith Aldworth. The ACT Heritage Council has granted the Honeysuckle Creek and Orroral Valley sites heritage status. Here’s a report from the ABC. Earlier, related story, from the ABC: Dishing the dirt on moon landing – 22 July 2009. 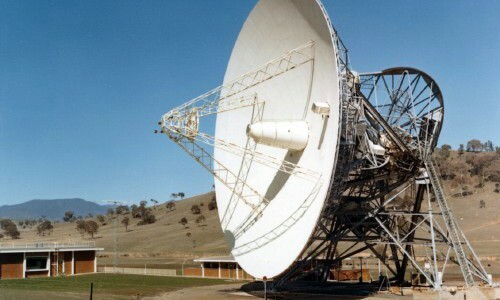 The Canberra Deep Space Communication Complex (CDSCC) will be holding a lunch and celebratory event marking the 50th anniversary of the official opening of the Tidbinbilla tracking station on Thursday 19th March 2015 – 11:00am to 2:00pm. We would like to invite ex-employees of the Tidbinbilla facility to join current staff and management for an in-house event to mark this milestone. There will be a few speeches (of course!) 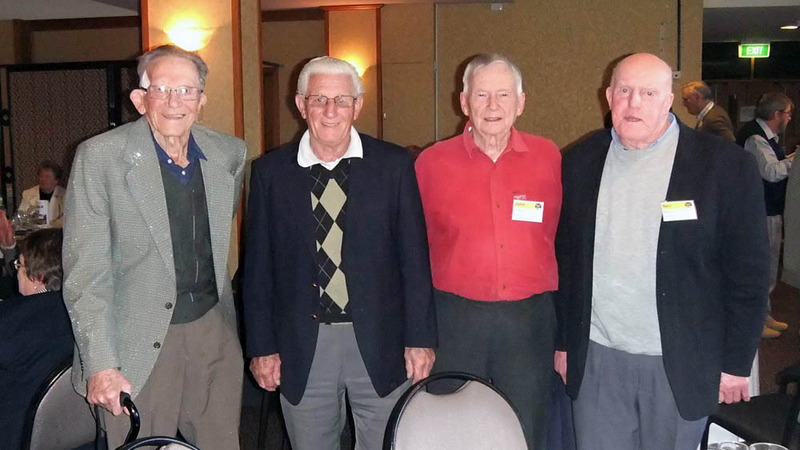 but mostly a chance to get together over lunch, to retell funny stories, recall amazing history-making moments and join with fellow Tidbinbilla alumni to reminisce about the incredible times we’ve shared over the past 50 years. To help us plan the event and get an idea of the numbers we can possibly expect, we invite you to add your name and contact details, plus a little information on your role at Tidbinbilla on a special Google document page we have set up. If you think you are interested in or likely to attend the anniversary event at CDSCC, please contact Colin Mackellar for the link to reply to the event. As we develop our event plan, we will send out further information by email. Mike Dinn ABC Radio interview. Mike was interviewed by Richard Fidler on his Conversations programme on ABC Radio across Australia on Wednesday 12th November 2014. See the invitation for the 45th anniversary of the Apollo 11 landing on Monday 21st July. PDF file. All Apollo trackers – the 45th anniversary of the Apollo 11 landing is coming up on Monday 21st July. There are discussions on a low key (perhaps informal) gathering in Canberra on the day – around lunchtime. If you’re interested, please mark it on your calendar now. There is sad news today that Kevyn Westbrook has died in Canberra. Kevyn was a veteran of Muchea, where he was the Communications Supervisor during Project Mercury. 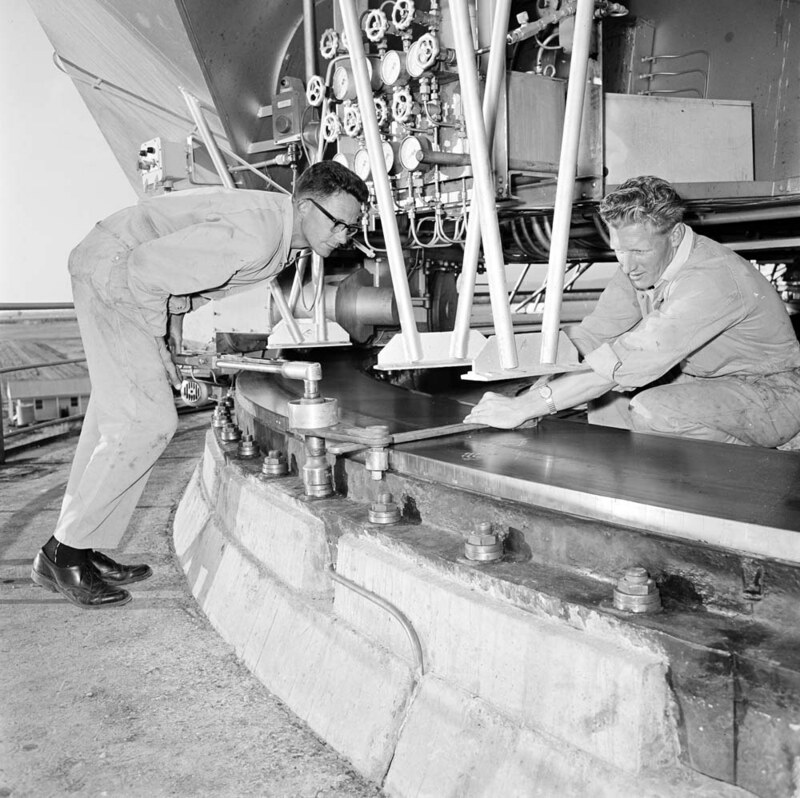 He was closely involved in the installation of Carnarvon, before leading the installation and operation of the Australian NASCOM Switch at Deakin for Apollo. Kevyn was so kind as to record a number of interviews for this website, and we hope to make them available in the not-too-distant future. Kevyn Westbrook in the Comms room at Muchea, 1961. Ken & Liz Lee (left) chat with Kevyn and Joan Westbrook at the opening of Honeysuckle Creek, 17th March 1967. Kevyn with Hamish Lindsay and Colin Mackellar, February 2012. Added a tribute to Australian Science Broadcast Peter Pockley. Coming up on Saturday April 13, 2013, DSS43 40th anniversary celebrations at Tidbinbilla. Philip Clark has been hard at work on his book on Orroral Valley Tracking Station. At about 450 pages, with over 500 photos and illustrations, 123 in colour, “Acquisition” should be the definitive work on ORR. The foreword is by the Governor General of Australia, Her Excellency Ms Quentin Bryce, AC, CVO. The book launch will be on Wednesday 3 October at 2:00 pm in the ACT Legislative Assembly building, Civic Square, Canberra. It’s now available from Philip Clark at philclark@iprimus.com.au. – and also from a number of bookshops in Canberra, including Questcon and the National Library bookshops. Apollo 17 astronaut Harrison Schmitt and former Senator has called for NASA to be replaced by a “new agency, the National Space Exploration Administration (NSEA), [to] be charged with specifically enabling America’s and its partners’ exploration of deep space”. 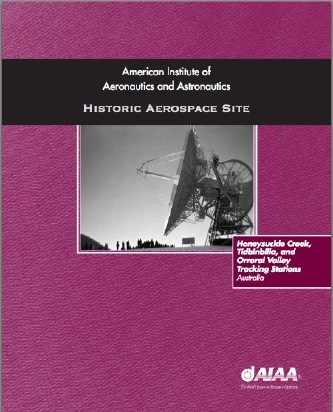 This booklet was produced by The American Insititute of Aeronautics and Astronautics for the event at Tidbinbilla on 25th May 2010. 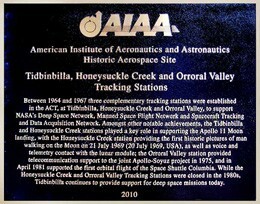 It’s been announced that The American Insititute of Aeronautics and Astronautics is designating Honeysuckle Creek, Tidbinbilla and Orroral Valley as Historic Aerospace Sites. 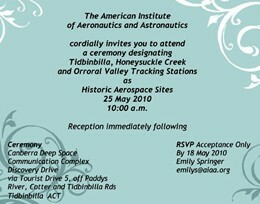 There’ll be a ceremony at Tidbinbilla / CDSCC on Tuesday 25th May 2010. All are invited to attend. There’ll be a simple plaque unveiling (see above) followed by some light refreshments. Please note the RSVP date of 18th May – click on the invitation at top left for a 2MB PDF file). 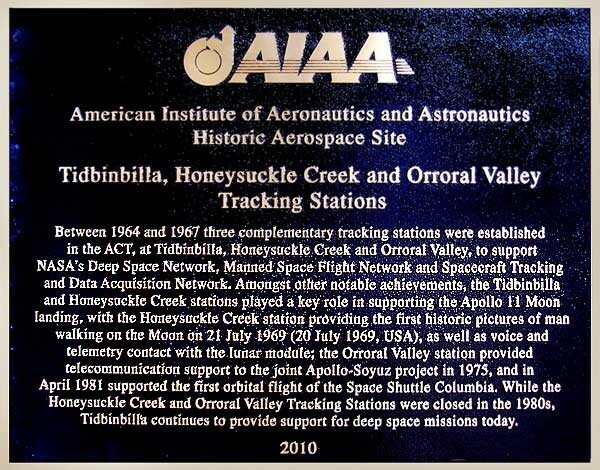 “The Sydney Section of the American Institute of Aeronautics and Astronautics (AIAA) is proud to announce that the Tidbinbilla, Honeysuckle Creek and Orroral Valley Space Tracking Stations have been designated as global AIAA Historic Aerospace Sites. This is a prestigious award which recognises the significant role these three Australian tracking stations have played throughout the space-faring era, particularly in support of NASA’s manned space missions. 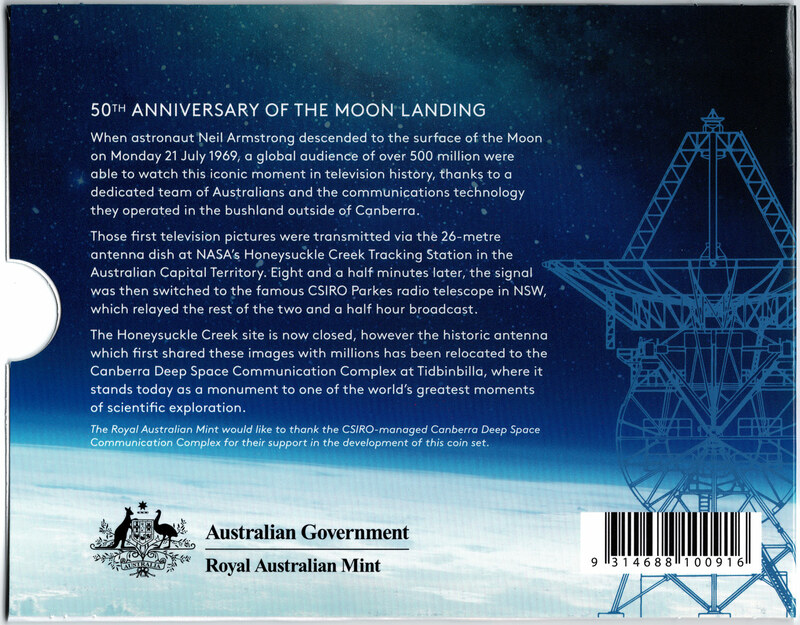 It is a fitting tribute that these sites should be recognised in this way in 2010, the 50th anniversary of treaty-level cooperation between the Australian Government and NASA. The AIAA established the Historic Aerospace Sites Program in 2000 to promote the preservation of, and the dissemination of information about, significant accomplishments made in the aerospace profession. 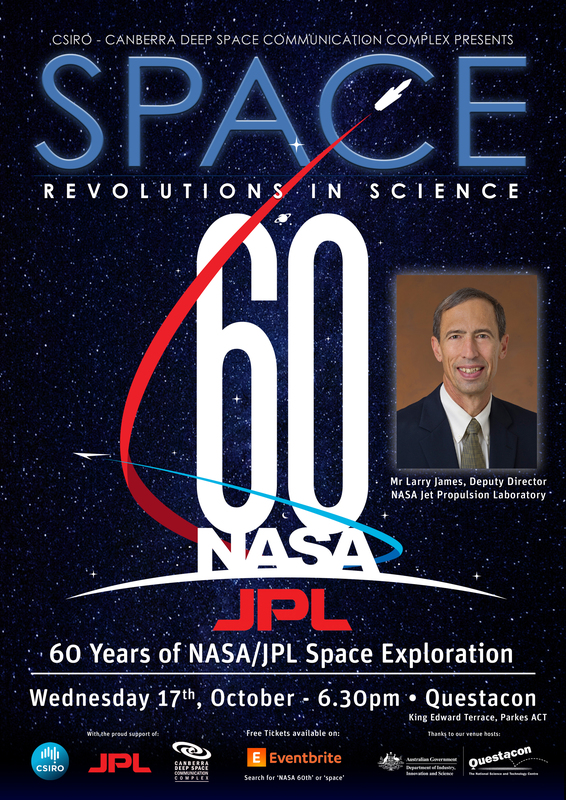 Other sites recognised by the AIAA History Technical Committee include NASA Ames Research Center, Moffett Field, CA; the Boeing Red Barn, Seattle, Wash.; Kitty Hawk, N.C.; the site of the first balloon launch in Annonay, France; the Royal Aircraft Research Establishment at Farnborough, England; and Tranquility Base on the moon. Currently Woomera is the only other AIAA Historic Aerospace Site in Australia. Several days of celebrations and get-togethers for all who supported Apollo (Honeysuckle, Tidbinbilla, Carnarvon, Parkes, Orroral, NASCOM, PMG, OTC, and others further afield!) to be held in Canberra. “On Tuesday 21 July 2009 at lunch time, it will be exactly 40 years since Neil Armstrong first stepped onto the Lunar surface. We (the ex-Apollo workers and families) intend to celebrate the event with a multi-day reunion culminating with a lunch on the day on the hour. Events in Canberra and at Honeysuckle Creek and at Tidbinbilla comprise the Canberra Apollo celebrations. Quiet catch up and pre-register at the Southern Cross Club in Woden. We’ll be there from 10am to 3 or 4pm. Come for lunch and drinks (own cost). Then on to the HSK site – to dedicate a Plaque to all who worked at HSK and also bury a time capsule. This is the signature event. Long lunch: 11am to 4pm or so! To be held in the ballroom of the Woden Southern Cross Club’s brand new ‘Events Centre’. ‘On the day on the hour’ we’ll replay the first steps on the Lunar surface using Honeysuckle’s video feed. There’ll be a souvenir DVD available and many other activities. $50 each – sign up through John’s website. You can also send a message to John (with a copy to Colin) via this form. Ex-tracking staff and guests are invited to attend ‘Live from the Moon’ at the Canberra Deep Space Communication Complex on Monday 20th July 2009. This event commencing at 10:30am will commemorate the historic first steps on the Moon in July 1969. 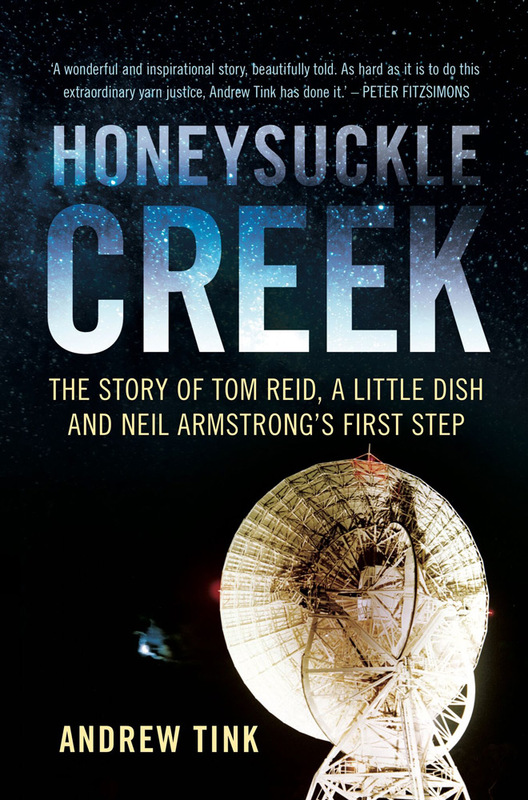 Speeches from representatives of Tidbinbilla, CSIRO and the United States will recognise the important role that the teams from Honeysuckle Creek, Tidbinbilla and Parkes played in the Apollo XI mission. This will also be a time to ceremonially farewell the 26-metre antenna Deep Space Station 46 (HSK’s original DSS-44 antenna) which will end its space tracking life in August 2009. A plaque will be unveiled in its honour. Following the ceremony, invited guests will enjoy a light lunch in the DSS46 Support Building adjacent to the antenna grounds. A specially minted coin will also be given to attendees to commemorate this historic day. Read more on the Tidbinbilla activites at the CDSCC website. Monday 20th July at 7:30pm, BBC Knowledge on Foxtel / Optus. Several TV specials and news reports are planned for the 40th anniversary. 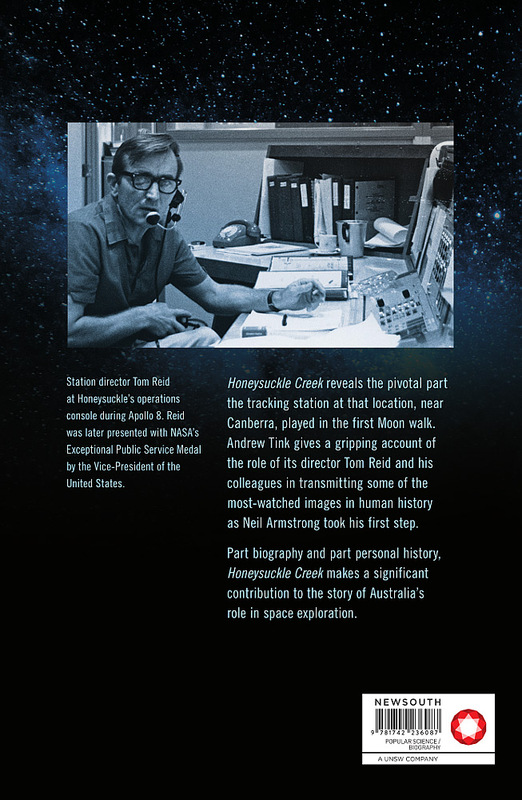 In addition to Mark Gray’s Live from the Moon – the Story of Apollo Television (being premiered at Questacon on 22nd July), One Small Step: The Australian Story has been produced for the BBC Knowledge channel and will screen on Monday 20th July at 7:30pm (and repeat screenings). See the Foxtel website for some of the programmes planned. And some excerpts have been posted here. Parkes Observatory is holding Open Days 18th–19th July 2009 – Details from the Parkes website and also on the IYA website. Saturday, 18th July 2009 – details from Terry Kierans’s website. There’ll be activities in Carnarvon July 28–30. “July 11th 11:00am opening of the commemorative exhibition in the “Casa de la Cultura”. Presentation explaining the role the MSFN, and in particular the Fresnedillas Apollo station, played in the exploration of the Moon. The exhibition will remain open until July 20th. During the week there will be activities for the kids related with the Apollo expeditions to the Moon. July 20th Big group, old-timers, reunion at the “Casa de la Cultura” at 11:00am. Tribute of Fresnedillas town to the people who worked at the Apollo station until it closed. Play back of Apollo 11 documentaries, including some of the excellent moonwalk footage received at HSK. Comments on the memories the exhibition and the documentaries bring to the people involved in the Apollo 11 mission while we have a Spanish wine with some good “aperitivos”. Next we are planning to visit the grounds of the Fresnedillas Apollo station, today home of a Department of Defense station. This visit is not confirmed yet. Farewell to the 26m Apollo antenna, located at MDSCC and decommissioned a few months ago. Read about the proposed Moonbounce activities for World EME day (June 27th 2009) and other activites being organised by Robert Brand (ex-OTC) and Robert Brand and Pat Barthelow and friends at Echoes of Apollo. At the Discovery Centre at Castle Hill, Powerhouse Curator of Space Technology is speaking on “Apollo to the Moon: A 40th Anniversary Retrospective” – 11:30am Saturday 11th July. Details on this PDF file. Event 1 MOVIE: The Right Stuff - Apollo 11 40th Anniversary Event. Event 2 : Rolling Apollo 11 footage will feature on the Big Screen at Melbourne’s Federation Square across the weekend of July 18-19, 2009. Full details at The Space Association website. 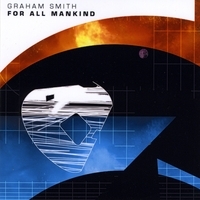 A Musical Tribute to Apollo 11 by Graham Smith. Hear highlights and found out how to get it at his website – www.forallmankind.co.uk. “There will be a highly informal Picnic at the Honeysuckle site on Sunday 13th April from around 11am. BYO everything (including memorabilia) if you would like to reminisce with some of the old crew. ” Please don’t forget that the Tharwa Bridge is closed. The Australian space stamps. Image courtesy of Australia Post. 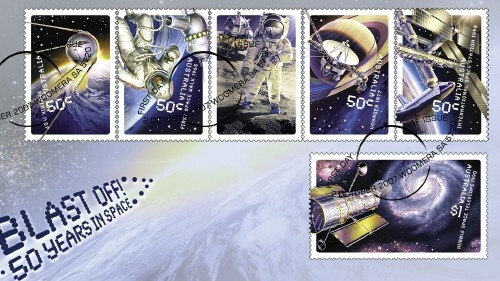 To commemorate the 50th anniversary of the beginning of the Space Age with the launch of Sputnik 1 (4th October), Australia Post has released a series of six stamps. Low-key launches for the stamps were held in the mainland Australian capital cities.  See some photos here.